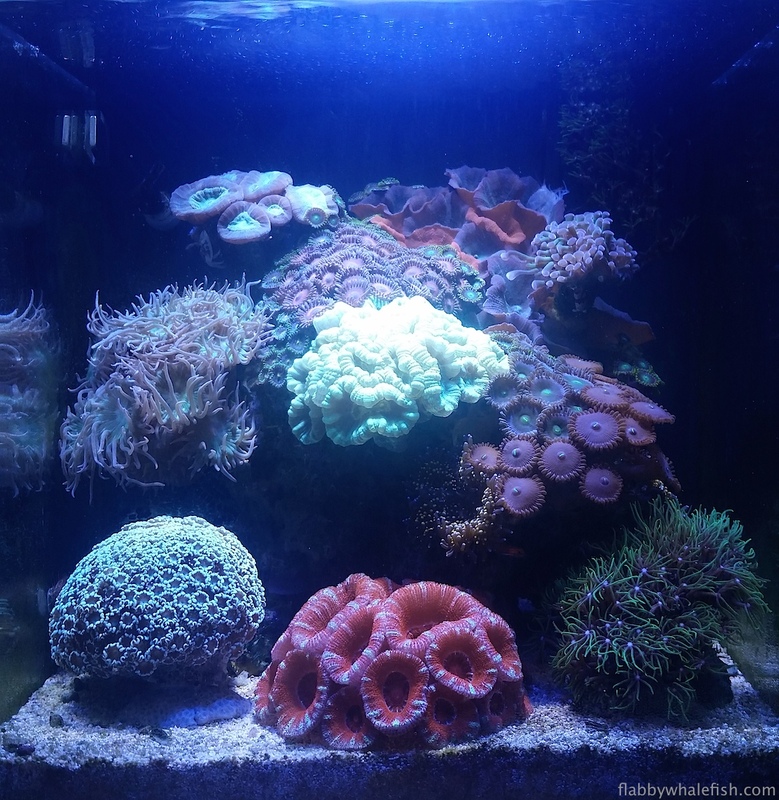 Update on the pico reef! I thought I would post an update on my little pico as it has been a while! There have been a few additions to the tank since I last posted it on here, as well as an overall growth of the tank in general. The additions are a golden neon goby (Eviota pellucida) and a Porcelain anemone crab (Neopetrolisthes ohshimai). The golden neon goby has been a great little fish to watch in the tank. It differs in its behaviour from my other two gobies in that it tends to spend a lot of the time hovering in the water column, whereas my green clown goby likes to perch on the duncan and candy cane corals and the flaming prawn goby spends most of its time on the sand. The three complement each other well. I know some will think three fish in a tank this size is pushing the limits a bit, but they largely ignore each other and water parameters remain in check. I have long wanted a porcelain crab in the tank, I used to have a pom pom crab which I unfortunately lost a few months back, and when it came to a replacement I thought a porcelain crab might be something fun and different to what I’ve previously had. In contrast to my pom pom crab who I didn’t see much and was quite skittish, the porcelain crab is generally out and about whenever I sit down to have a look at my tank. It seems to have identified a few spots in the tank with favourable flow and will sit for hours extending its feeding arms and sifting the water for whatever goodie it can find. The corals of the tank are all progressing well. The Duncan on the left side of the tank will soon need fragging; it has exploded into life recently and is up to about 10+ heads. 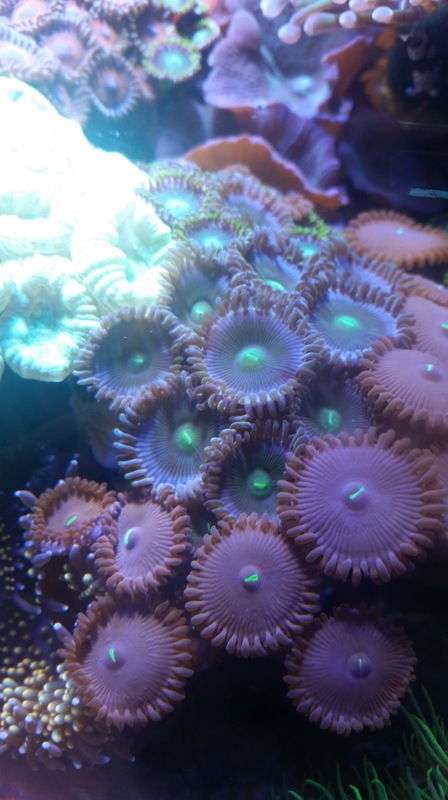 Similarly the green candy cane coral at the centre of the tank is getting big and will either be moved or fragged soon enough. My alveopora has not been doing great for a while. It still extends every day, but it is not as full as it used to be. Hopefully it will get back to its best on its own but its something that I am keeping an eye on. I’ll finish off this post with a little video of my three gobies dining in some freshly hatched baby brine shrimp. The video is not of great quality as its taken under blues and my phone camera struggles to adapt to the light, still it gives a a good insight into feeding time in the tank, enjoy!